Chatham County hay field. Photo by Debbie Roos. Press release written by Matt Poore, NC State Extension. Pasture-based livestock producers within eligible counties with damage to standing forage as a result of Hurricane Florence and/or Tropical Storm Michael are eligible for the Hurricane Florence Agricultural Disaster Program of 2018. Applications are being taken until December 10, 2018, for the program. All crops are covered under the program including forages standing in hay fields and pasture for grazing livestock. 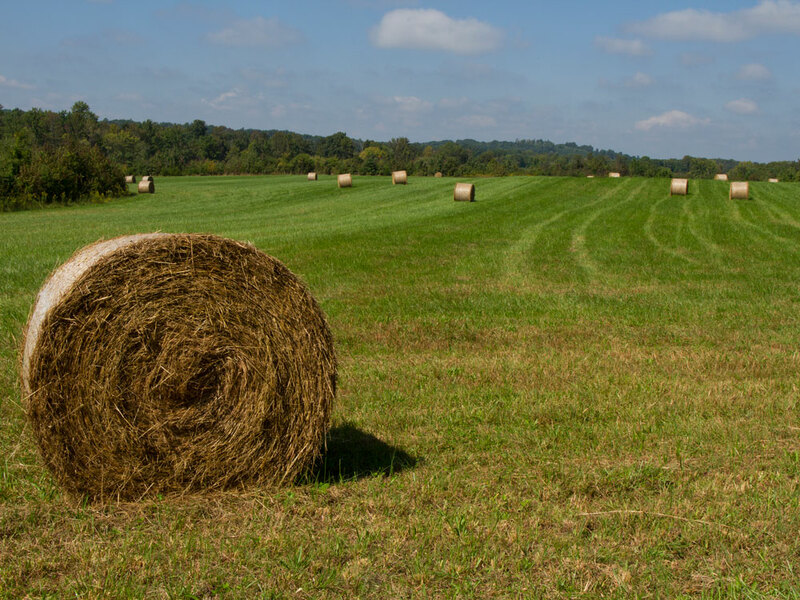 The program does not cover loss of hay that was already harvested, but rather covers any forage that was standing in the field at the time of the storm. To be eligible for the program the farmer needs to start their application prior to December 10 but will have time after that to complete the application process. To complete the process they will need to have a USDA FSA 578 form which is the standard crop acreage report. Farmers with only grazing livestock often do not file an annual 578 form. In that case, FSA will allow for a late filing of the report with a small (usually less than $50) late fee. To start your application you can go to the website or contact your local extension office for assistance. * Means disaster declaration is pending. Producers in these pending counties are encouraged to apply. • Help – We Have Mosquitoes Everywhere! !